Managed Pressure Drilling Operations is a significant technology worldwide and beginning to make an impact all over the world. Often reservoir and drilling engineers are faced with the decision on how best to construct a well to exploit zones of interest while seeking to avoid drilling problems that contribute to reservoir damage or cause loss of hole. The decision to pursue a MPD operation is based on the intent of applying the most appropriate technology for the candidate and entails either an acceptance of influx to the surface or avoidance of influx into the wellbore. In today's exploration and production environment, drillers must now drill deeper, faster and into increasingly harsher environments where using conventional methods could be counter-productive at best and impossible at worst. Managed Pressure Drilling (MPD) is rapidly gaining popularity as a way to mitigate risks and costs associated with drilling in harsh environments. If done properly, MPD can improve economics for any well being drilled by reducing a rig’s nonproductive time. Written for engineers, drilling managers, design departments, and operations personnel, Managed Pressure Drilling Modeling is based on the author’s on experience and offers instruction on planning, designing and executing MPD projects. Compact and readable, the book provides a step by step methods for understanding and solve problems involving variables such as backpressure, variable fluid density, fluid rheology, circulating friction, hole geometry and drillstring diameter. All MPD variations are covered, including Constant Bottomhole Pressure, Pressurized MudCap Drilling and Dual Gradient Drilling. Case histories from actual projects are designed and analyzed using proprietary simulation software online. 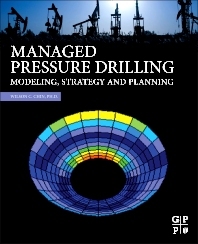 With this book in hand drilling professionals gain knowledge of the various variations involved in managed pressure drilling operations; understand the safety and operational aspects of a managed pressure drilling project; and be able to make an informed selection of all equipment required to carry out a managed pressure drilling operation.